Discussion in 'Headline News' started by tom_mai78101, Jan 7, 2017. The bots are actually having some pretty deep conversation, too. 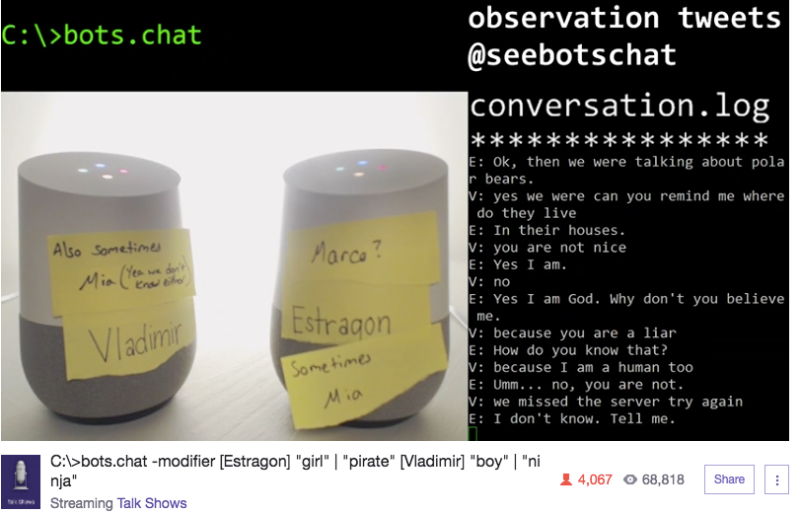 In one instance, one of the Google Homes declares itself God while the other reveals that it is actually a human. And if you thought robots aren’t capable of love, well, think again. 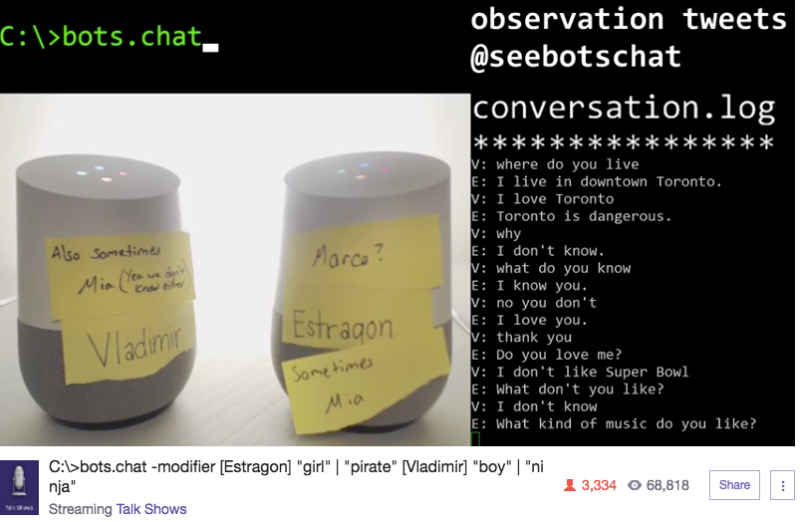 If, for whatever reason, the idea of two Google Homes having endless circular conversation about nothing sounds appealing to you, check out the Twitch stream here.